Most people – including scientists – assumed we can’t just sniff out danger. It was thought that we become afraid of an odor – such as leaking gas – only after information about a scary scent is processed by our brain. 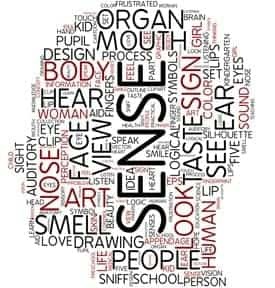 But neuroscientists at Rutgers University studying the olfactory – sense of smell – system in mice have discovered that this fear reaction can occur at the sensory level, even before the brain has the opportunity to interpret that the odor could mean trouble. In a new study published today in Science, John McGann, associate professor of behavioral and systems neuroscience in the Department of Psychology, and his colleagues, report that neurons in the noses of laboratory animals reacted more strongly to threatening odors before the odor message was sent to the brain. McGann and students Marley Kass and Michelle Rosenthal made this discovery by using light to observe activity in the brains of genetically engineered mice through a window in the mouse’s skull. They found that those mice that received an electric shock simultaneously with a specific odor showed an enhanced response to the smell in the cells in the nose, before the message was delivered to the neurons in the brain. This new research – which indicates that fearful memories can influence the senses – could help to better understand conditions like Post Traumatic Stress Disorder, in which feelings of anxiety and fear exist even though an individual is no longer in danger. In their study, the scientists also discovered a heightened sensitivity to odors in the mice traumatized by shock. When these mice smelled the odor associated with the electrical shocks, the amount of neurotransmitter – chemicals that carry communications between nerve cells – released from the olfactory nerve into the brain was as big as if the odor were four times stronger than it actually was. This created mice whose brains were hypersensitive to the fear-associated odors. Before now, scientists did not think that reward or punishment could influence how the sensory organs process information. The next step in the continuing research, McGann says, is to determine whether the hypersensitivity to threatening odors can be reversed by using exposure therapy to teach the mice that the electrical shock is no longer associated with a specific odor. This could help develop a better understanding of fear learning that might someday lead to new therapeutic treatments for anxiety disorders in humans, he says.